BREAKING NEWS: Bugs Bunny, Wile E. Coyote, and Elmer Fudd file for Workers’ Compensation. After just shy of 40 years in the business, Bugs Bunny, Wile E. Coyote, and Elmer Fudd file for workers’ comp. These beloved Looney Tune characters were a part of a highly successful business in the entertainment industry built in 1930 running all the way through 1969. Bugs Bunny, Wile E. Coyote, and Elmer Fudd are only a handful of the talent that helped create the iconic short films produced by Warner Bros. Since the workers compensation case for the above Looney Tune characters was filed in February of 2018, there have been speculations of other characters coming forward with similar complaints. Odds are that you too are one of the hundreds of billions of Looney Tune fans. Which means you should be very familiar with their work and have a visual understanding of how physically demanding their tasks were. In 1930 before DVR was invented, the Looney Tune characters were required to work overtime to recreate episodes throughout the day. This means Bugs Bunny was smashed on the head 85,345,111 times. Wile E. Coyote fell off a cliff 199,786,333 times. And Elmer Fudd had 54,321 gunshot wounds due to malfunctions. Since Looney Tunes, Bugs Bunny has made cameo appearances in advertisements, movies, and various other television shows. He has been labeled as a cultural icon and his star can be found on the Hollywood Walk of Fame. Bugs Bunny has brought more than just joy and entertainment into our homes. He brought a sense of wonder and friendship. Due to previous strain in his career, Bugs Bunny suffers from arthritis and back pain. His case is underway but we hope to see that Bugs Bunny gets everything he deserves and more to live out the rest of his life with his health. We all enjoyed watching Wile E. Coyote unsuccessfully chase the Road Runner day after day, year after year. But a small part of each of us wanted him to be successful just once. Well, when it comes to this workers’ compensation case, let’s hope Wile E. Coyote does find success. Due to his bodily injuries after falling from great heights time and time again, Wile E. Coyote has suffered with debilitating migraines. When we think of Elmer Fudd, the first thing that comes to mind is his iconic laugh. But he’s not laughing anymore. After 54,321 gunshot wounds due to malfunctions and or cartoon error, the pain has finally caught up with him. The gunshot wounds were often written into the script to get a laugh from the audience, which it did. Every time! But, now that time has passed, the pain Elmer Fudd feels just getting out of bed in morning isn’t funny. Whether you’ve given the majority of your life, efforts, and energy to a company like our Looney Tune friends. Or if you’ve only been at a company for a couple years, you still deserve workers’ compensation benefits when injured on the job. 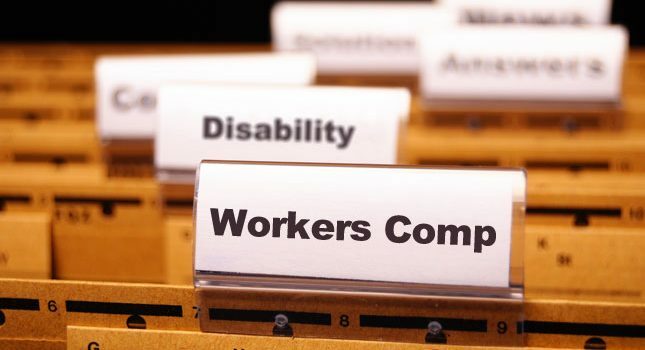 If you ever find yourself in this situation, it is important to find a Georgia workers compensation attorney. Get the legal help you deserve to win your case and live out the remainder of your life as you would have before the accident.